Griswold Controls products help improve room comfort for hotel guests by improving the limited control over heating and cooling for the individual rooms. The Hotel InterContinental had a problem on their hands. Due to outdated two-pipe fan coils, guests in the hotel’s North Tower had limited control over heating and cooling in their rooms. Depending on the season, or even the time of day, either cold or hot water would run through the fan-coil units, but never both. In addition, the fan coils were a bit noisy, a little unsightly, and robbed the guest rooms of precious space. 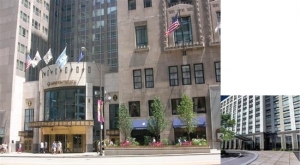 When the landmark Chicago hotel began a major renovation in 2000, the engineers chose a less-intrusive fan coil with a more flexible four-pipe system. The Hotel Inter-Continental was built in 1929 as the Medinah Athletic Club. The contemporary North Tower was added later. For this project, the standard coil package selected included the flow limiting cartridge of the Automizer combined with a low-torque, equal-percentage actuated ball valve and factory mounted Siemens actuators, which open and close the control valve portion of the Automizer. The entire piping package, including isolation ball valves, flow limiting cartridge actuated ball valve, air vent, strainer, and union connections, takes up approximately one-fourth of the space that a typical manual piping configuration would require. Limited space and the desire to reduce balancing labor were not the only concerns. Guest occupancy was another. With the hotel needing to keep as many rooms as possible occupied during the renovation, manual balancing would have represented a significant inconvenience and loss of revenue. Contractors would have to go into all of the rooms several times, tweaking the system until it was in balance. This would have made confining the work to just two floors at a time impossible – either guests would have to be disturbed, or the hotel have to postpone occupancy throughout the tower until the entire job was complete. In all, 1,094 Automizer coil piping packages were installed in the North Tower. The heart of the Automizer combination control valve is a stainless steel cartridge with factory cut orifices designed to meet the job’s control parameters. Below the control range, the cartridge acts as a variable flow device, allowing flow to vary below the rated amount, as controlled by the actuated ball valve. Within the control range, the cartridge modulates in response to pressure differential changes, maintaining a fixed flow rate with a +/-5% accuracy. Above the control range, the cartridge acts as a variable control device, allowing flow to vary above the rated amount. The stainless steel cartridge automatically prevents the flow from reaching levels exceeding the fan coil’s specifications. With the renovation complete and the North Tower in full operation, Kees Guijt, regional director of engineering, reports there has been a significant drop in guest complaints regarding room comfort. 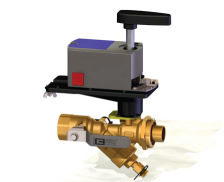 Automizer® Next Generation combination control valves feature Griswold Controls’ patent pending field repairable stem design, providing resistance to today’s chemical treatments and to temperature fluctuations following evening system shutdown. In addition, they allow for field servicing without having to remove the valve from the system. Automizer all-in-one valves combine an actuated temperature control valve with our stainless steel automatic flow limiting cartridge. The Automizer contains the entire return side of the coil in one valve: a flow limiting valve, an actuated 2-way control valve, and a manual isolation ball valve. In addition, these valves feature the patented Optimizer for equal percentage flow characteristics. Automizer valves are ideal for schools, office buildings, VAV boxes, fan coil units, heat pump installations, and terminal boxes. standard package. Standard packages up to 2″ ship within 48 hours after the order is received direct to the job site, pre-assembled and ready to install. If variations to the standard packages are necessary they can be readily accommodated, but they will affect the 48 hour ship time. In addition, options such as hoses and extension kits can be easily added, but similarly this will increase the lead time. 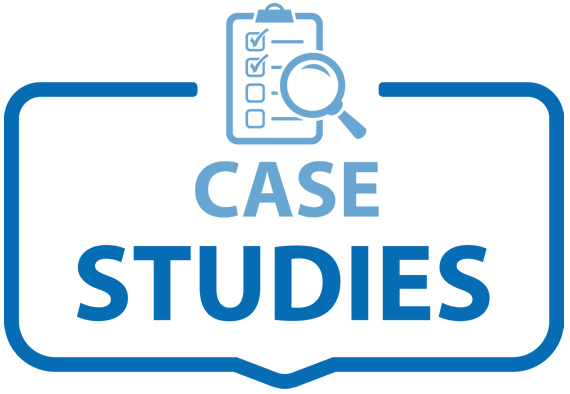 Common Applications: Anywhere labor costs or the number of leak points in the system need to be decreased Coil Piping Packages and Hose Kits are pre-plumbed solutions for specific piping needs, saving time, labor and money, while offering the added convenience of hassle-free product distribution at the job site.